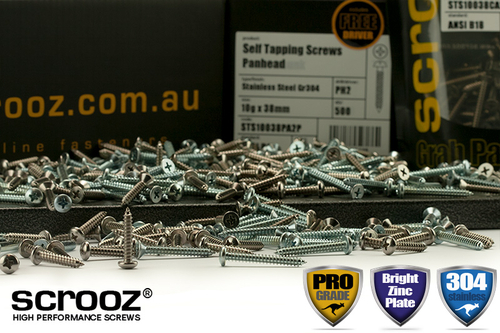 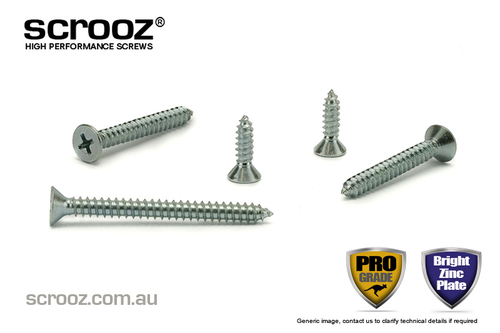 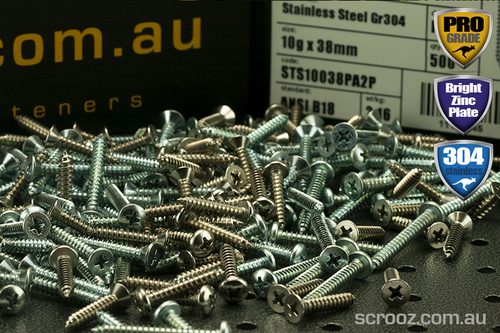 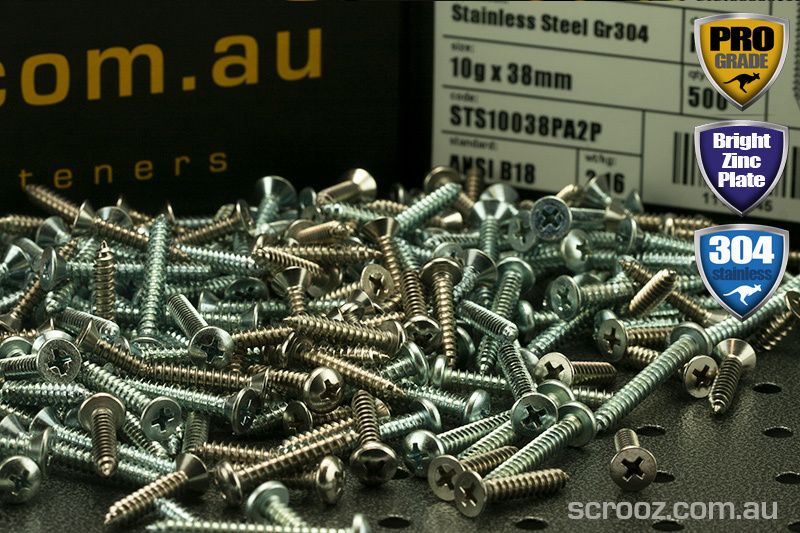 Hardened countersunk self tapping screws from our high performance self tapping screw range, designed to drill and tap their own hole as they are screwed into wood, plastic or thin to medium guage steel creating their own precisely fitted threads. Features include slim shanks and parallel lubricated threads to make driving easier and a self piercing needle point for a fast start and simple centering. 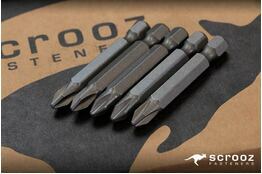 Smooth underhead countersink for flush finishing in door furniture, bracketry and general construction and engineering components. 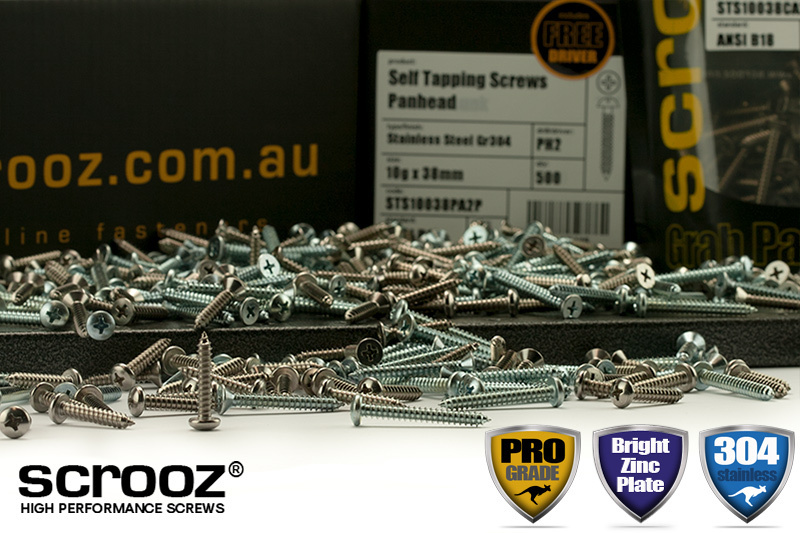 Phillips no 2 drive and CR3+ bright zinc plating for corrosion protection, free driver supplied in all packs and trade boxes. 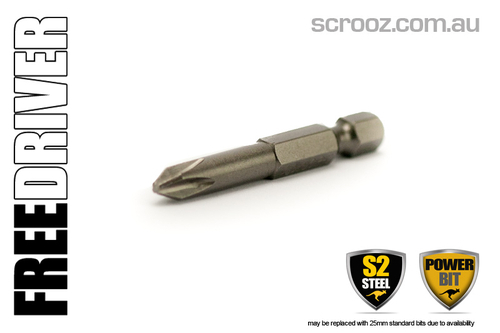 Self piercing Type A hardened points for fast insertion and self centered start. 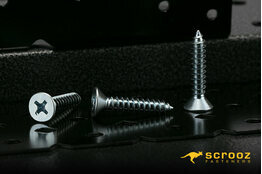 Through hardened parallel thread providing a constant and even clamping load. 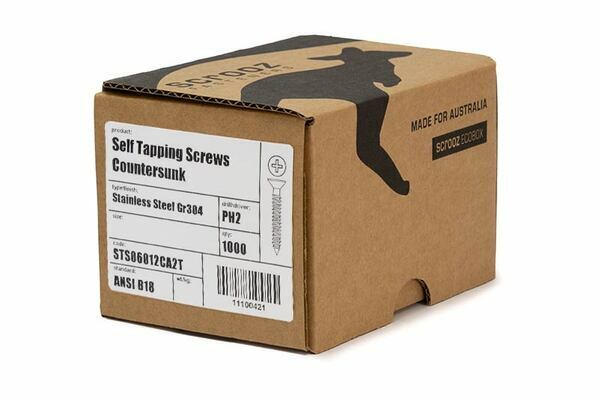 Supplied in convenient grab packs or heavily discounted trade boxes for volume users.